Taxi booking apps Uber and Grab Taxi have become increasingly popular in Ho Chi Minh City, which experts forecast to strongly develop in the future. Nguyen Thi Hong Nhung from District 5, who has used Uber or Grab Taxi for the last one year, said their fares not lower than that of traditional taxi companies such as Mai Linh and Vinasun. However, they have a lot of promotional and discount programs especially in holidays and weekends. 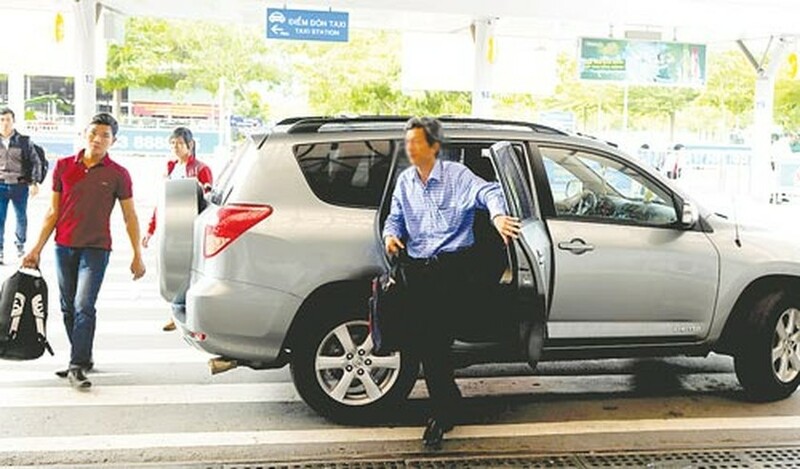 Ngo Quang Trung from District 8 said these services satisfied him, adding, once he travelled by the new taxi service from Tan Son Nhat International Airport to his house and found the fare was higher than that on the reverse direction. After querying the service provider about the difference by email for one hour, he received an explanation that there was a meter mistake. The service provider also offered an apology and refunded him. Talking about possible dangers from Grab and Uber Taxi such as robbery or prostitution, Trung said that these app operators usually sent sufficient information about cars, drivers and their registered companies when he booked a taxi. There has neither negative cases related to these services nor official statistics on their customer number. However their influences have spread to motorbike taxi. Grab Taxi has recently opened Grab Bike which has been well responded by the youth. Mai Ngoc Anh, HCMC University of Culture student, said that she used to pay VND60,000-70,000 to travel by traditional motorbike taxi from Mien Dong Bus Station to her apartment block in District 10. Since using Grab Bike, she has to pay only VND40,000 per trip. Tran Van Quan from Go Vap district has decided to buy a car after being in a divided mind because of high car use costs, about VND20 million (US$917) a month. He has registered to operate in a transport cooperative and attend Uber service. When not using the car for his family, Quan works as a taxi driver to make up for the car use costs. Even those with stable income source have also joined the service. Nguyen Trung Nghia from Phu Nhuan district said that he traveled in a fixed route from home to office everyday. Therefore, he registered this route to the Uber and Grab Taxi so that they can introduce him passengers for the same itinerary. This work brings him few millions of dong a month. 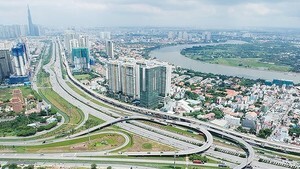 According to a transport expert, traffic overloading in HCMC causes insufficient parking space for taxi cabs forcing them to wait for passengers along roadsides and even roadbeds. If private cars are exploited to meet residents’ travel demand, they will help ease traffic overloading, save fuel and reduce exhaust fumes, said experts. A calculation by the Department of Transport has recently showed that if a transport means reduces half a liter of petrol consumption a month, the city can saves tens of thousands of liters. These benefits made the above expert believe that the online ordering taxi will thrive in the upcoming time. For better performances, experts prompted the service providers to abide by Vietnamese laws, drivers to register at transport firms or cooperatives and fully conduct their financial obligations. Authorized agencies should handle illegal operators strictly.